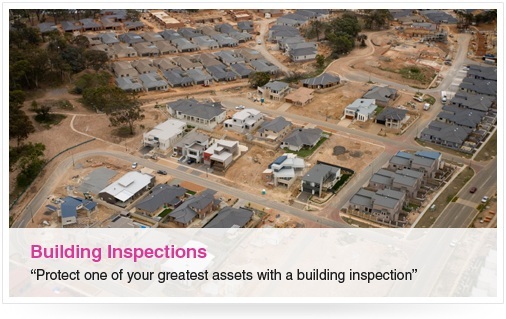 Before you buy any property in Sydney, make sure you order a building inspection report from Pink Inspections. What Is A Building Report? A building report is generated after a pre-purchase property inspection. The report details damage to a property – both internally and externally. This allows you to find out both major and minor defects – problems which can include things like rising damp, movement in the walls, and even potential safety hazards, before it costs you dearly. The information from the inspection will help you avoid expensive repairs and can affect the purchase price. It’s important to choose the right property inspector to carry out the Pre-Purchase Inspection. The inspection should be carried out by a licensed builder, a surveyor, or an architect. The professional you choose must comply with Australian Standards (AS 4349.1); the inspector should also have adequate insurance. How Will A Property Inspection Help You Avoid Unnecessary Costs And Risks? If the report is completed properly, it will identify many potential problems. It’s important to understand that the inspection is visual and may not identify structural defects or hidden problems. You may have to contract additional specialists like a pest inspector or structural engineer for a complete assessment. Fewer than 1 in 10 homes sold are free of building defects, structural problems or illegal structures. A thorough, easy-to-read building report from Pink provides you with the key information you need to help you make a wise purchase decision. So before you “sign on the dotted line”, order a building inspection report from Pink Inspections. * FAST Service: We Guarantee to deliver your Building Report within 48 hours of gaining access to the property or it’s FREE (applies to fax or email delivery; excludes weekends and public holidays). Quality Reports : All building reports comply with Australian Standard AS 4349.1 You’ll be pleasantly surprised by the concise, easy-to-read format of your report. Our clients include hundreds of conveyancing and legal firms who trust us to perform building inspections for their clients. Your Visual Building Inspection Report is compliant with Australian Standard AS 4349.1. A detailed report of Major Defects and Safety Hazards together with a comparison of Minor Defects with other similar properties. An estimate of repair costs associated with any problems uncovered. Decks, Pergolas, Verandahs, Balconies, Awnings etc.